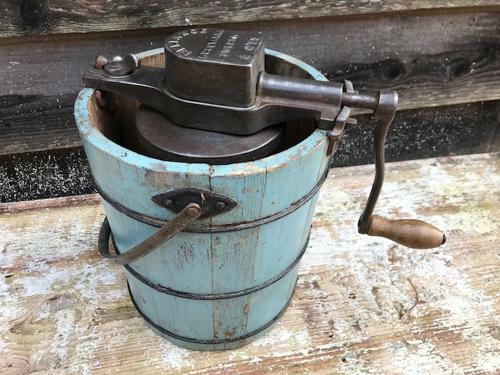 1920's Husqvarna Ice Cream Maker, complete and with all inner workings but just a great looking piece and in lovely blue paint. Ice and some salt was placed in the outer rim of the bucket and ice cream mixture went in the inner chamber. Turning the handle paddles the ice cream churning and freezing it at the same time.